• Clemson is coming off back to back wins for the first time in February, with home triumphs over Georgia Tech and Boston College. 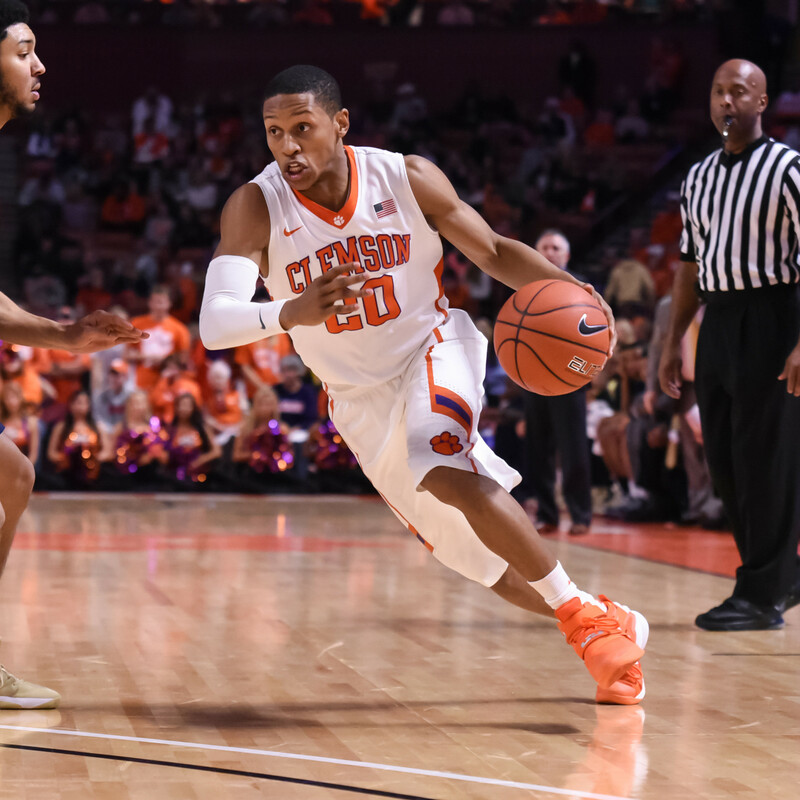 • The Tigers overcame a halftime deficit in the win over the Eagles; it was their fifth win after trailing at the half this season, one shy of the Clemson record for a single season. • Clemson has a 5-6 record in PNC Arena, which opened in 1999-2000. The Tigers won in Raleigh last season, 68-57. • Clemson won its ninth ACC game last time out, marking only the fifth time in program history the Tigers have won nine of their first 14. The other seasons it was achieved was 1966-67, 1986-87, 1989-90 and 2007-08. • Since the ACC expanded to a 16-game schedule in 1991-92, the Tiger record for league wins through 15 games is nine, set on three occasions. • Saturday’s game features the top two shot-blockers in the ACC in Clemson’s Landry Nnoko and NC State’s BeeJay Anya. The Wolfpack center has 63 blocks in 26 games, while Nnoko has 61 over the same number of games. • Avry Holmes is coming off one of his best performances. The junior scored 17 points on 4-8 shooting and 7-8 free throws, but it was defensively where he made his mark. He helped limit Boston College’s leading scorer Eli Carter to just 1-17 field goal shooting. • Jaron Blossomgame scored a game-high 23 points in the win over BC. • Jordan Roper reached the century mark for assists for the first time in the most recent game. He has just 32 turnovers in 863 minutes this season.